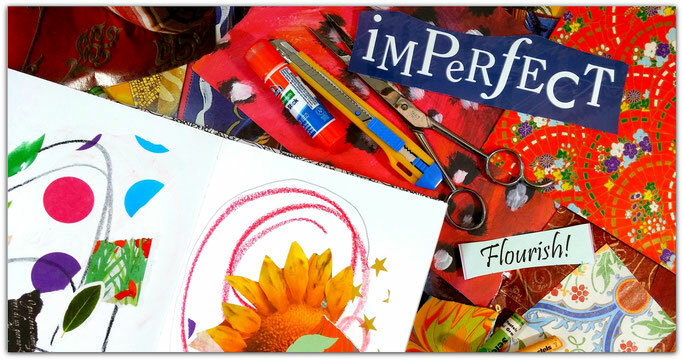 Join me on this fun "walk-through" my intuitive collages, and share in a celebration of our multiplicity. I developed my intuitive collage practice when I was an intuitive painting teacher 15 years. I was trying to support people to express their emotions spontaneously and was having difficulty convincing people to express authentically when they were struggling with painting and drawing skills. The sudden idea to teach collage surprised me, but soon I was absolutely amazed at the various aspects of myself that poured through my collages! In this fun video course, I share a surprise collage challenge, offer two demos, and three "walk-throughs" of my current and past collage work to illustrate how we can visually represent and learn to love all aspects of ourselves! And...no drawing or painting skills required! 1. Three videos (one per day) and over an hour and a half of personal sharing and collage demonstrations. 2. 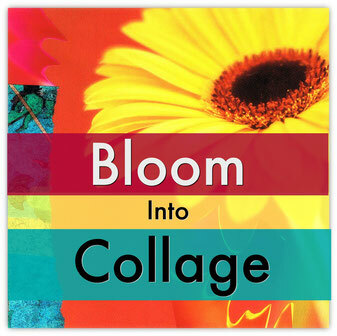 Two fun expressive collage challenges, and a "how-to" write a spontaneous poem. 3. A demo on how to make an emotionally expressive collage if you are in emotional pain. 4. A PDF booklet describing the "how-to's" of intuitive collage and an extensive sourcing list for collage materials. 5. A PDF supplies list. ~ How spontaneous collage can help you heal emotionally. ~ How spontaneous collage can help you see and understand facets of yourself. ~ How to create a spontaneous magazine collage. ~ How to work spontaneously with patterned papers and abstract compositions. ~ How to create an affirmative collage. ~ How to write an an intuitive poem. ~ How to create an emotionally expressive collage to release difficult emotions.